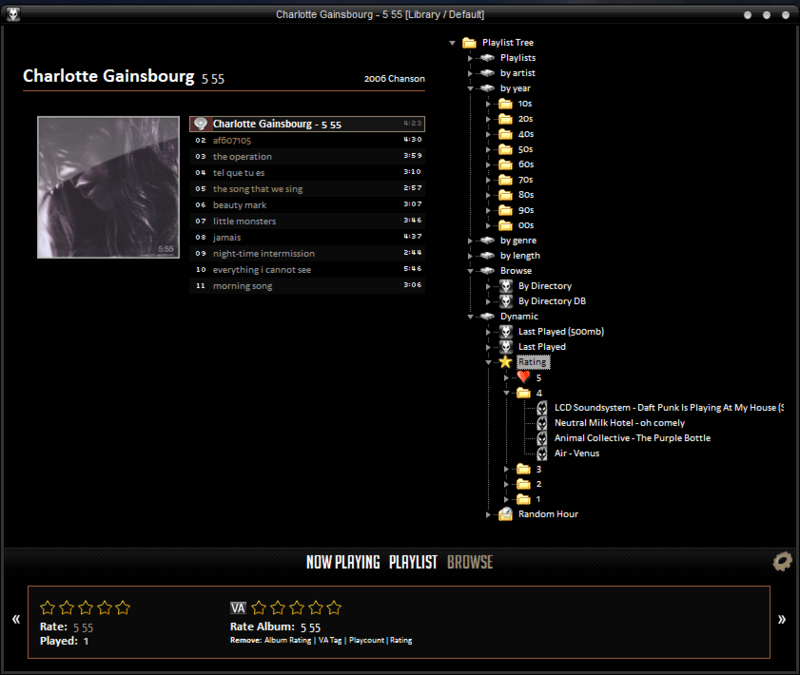 This allows for some very powerful new sorting and grouping layouts. The system uses discretely defined criteria for sorting or grouping which can be edited and added to. For instance Album, Artist, Date, etc. when in the small edit box, to group and sort by left click, to simply sort by just right click. To remove the criteria click again. SCPL has also had some updates, allowing multiple SCPL codes to be used in a single panel, which can be switched between based on sort mode. 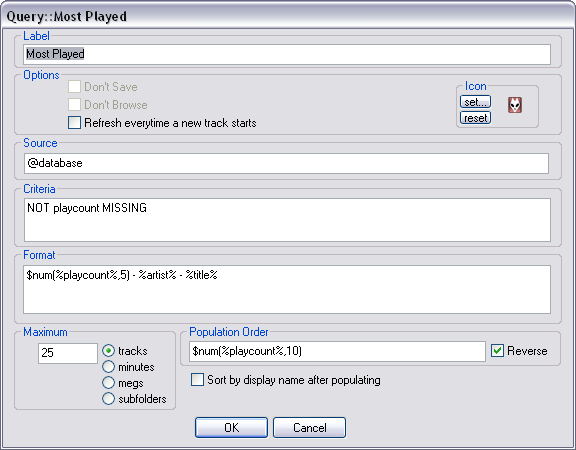 For instance, in an SCPL panel named “playlist” there could be two completely separate sets of code, say Album and Single, then when grouped by album is selected the first SCPL shows, when grouped by anything else singles could show (it’s really up to the user because everything is extremely configurable). There are some things to be aware of, first this new system completely removes the original SCPL “group by” dialogue – any code in that section will disappear on loading up your pui using PanelsUI 0.9+. Make a backup of your .pui file. What’s more, sorting mechanisms in configurations such as FofR v0.6 and Brumal’s config are now incompatible and will cease to work correctly. Most Previous configuration releases are incompatible. My release of v0.7 (a compatibility update) has been delayed because all sorting and grouping information is NOT stored in the pui – instead it is placed in a users fb2k configuration file (.cfg). If I release a configuration under this guise sorting and grouping will not work the same on each persons machine, as a result installation will be more complicated – I cannot conceive releasing a configuration that requires its users to spend 20 mins adding sort/group commands to their fb2k, considering the difficulty of getting everything to work smoothly for everyone when there is just one variable to change! The removal of the group by dialogue also prevents backwards compatibility. So whilst this update is very powerful I recommend that users happy with their configurations hold off for a short while. I am presently lobbying for a number of things at HA, firstly the inclusion of sort/group by configuration strings and the SCPL selector code within a PUI so they can be theme based. Secondly for the possibility of installing sort by commands upon a theme installation and thirdly a set of default sort standards (the development of these hasn’t been met with much enthusiasm). Sadly, the Foobar and HA way is never in favour of making things easy for the person that just wants everything to work.